It’s scarcely past tea-time and I’ve just reluctantly put the heating on in my home in Sussex. It’s dark outside, and there’s a frost coming, I’m certain. Winter is on its way! As November unfolds, all skiers’ (and snowboarders’) eyes are on the heavens…wondering whether Mother Nature is going to deliver plentiful snow this winter. Dare we even hope for a white Christmas in Klosters and Davos? This linked region, with more than 200 miles of skiing, includes the celebrated Parsenn, Jakobshorn, Rinerhorn, Pischa, Gotschna and Madrisa. Few areas in the Alps boast such a breathtaking panorama. Almost everywhere you look, the horizon seems to be pierced by jagged, snow-covered “horns” – (Schwarzhorn, Bocktenhorn, Weisshorn, Scalettahorn and Tinzenhorn – the “Matterhorn” of Davos) most of them well over 3,000 metres. The extensive Parsenn area, with upwards of a hundred pistes, and exceptionally long runs all the way down to Serneus and Küblis, nine miles away, is the key to the heart of the skiing, and the location for the legendary annual Parsenn Derby race, which started back in 1924. During the bad snow years of the 1980s, the doomsayers were predicting the end of skiing as we know it. And yet Mother Nature bounced back. One of my earliest visits to Klosters (but latest in that particular winter) was during the year in which I skied for 365 consecutive days in 240 resorts in 13 countries. It was April 3! I noted at the time: “Best snow, best visibility, best scenery, best weather conditions”. We must all hope for the best that there will be decent skiing in Klosters-Davos this winter. And if there’s still some good snow in late March and early April, let’s make full use of it. Tennis and golf can wait! Arnie Wilson became the Financial Times ski correspondent in 1986 – a job he held for 15 years before taking over as editor of Ski+board magazine for 13 years. In 1994 he skied every single day of the year during the Financial Times Round The World ski expedition, visiting 240 resorts in 13 countries. 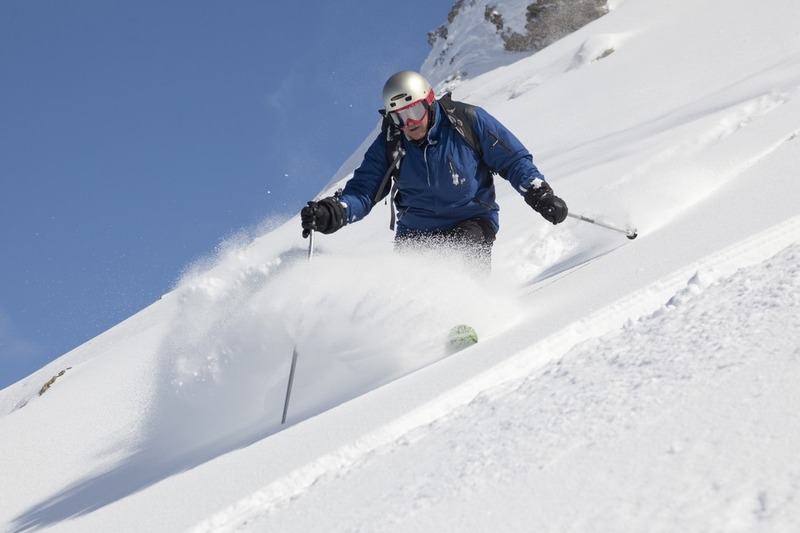 He has also skied in all 38 US states which have ski areas.